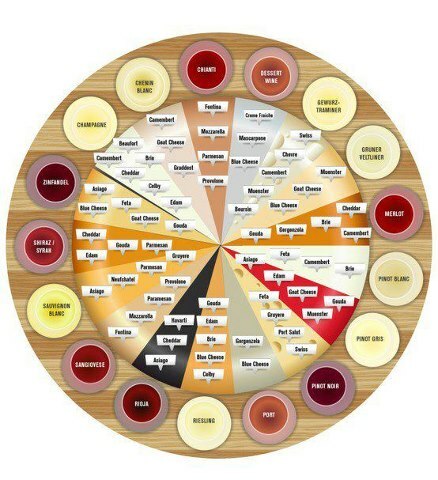 A good friend sent this "cheese wheel" image which suggests proper wine and cheese pairings. I thought I would share this information, but at the same time add the disclaimer that you should eat YOUR FAVORITE CHEESE anyway. Actually, I recommend trying a few cheeses and do a little experimenting on your own. While the proper cheese might bring out the best flavor of the wine, you should still be eating what makes you happiest!